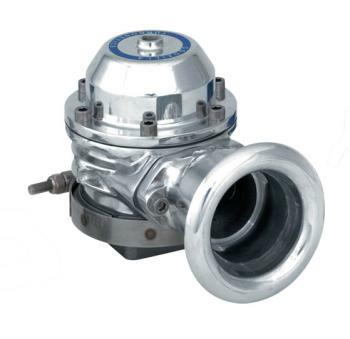 Turbonetics Blow Off Valve - Godzilla UNIVERSAL - Pann Auto Performance - San Diego largest aftermarket automotive performance parts - What do you drive? Turbonetics’ “Godzilla” bypass valve assembly offers the ultimate in surge protection and cosmetic appeal. Highest flow capacity available – bar none! Aircraft-quality construction featuring a 1.8” (45mm) diameter all stainless steel valve assembly and a totally sealed actuator assembly. All polished aluminum with a unique V-band mount that allows a full 360-degree orientation. Includes 2” diameter discharge for system connection and weldable steel alloy and aluminum mounting flanges.